Microsoft Office is a group of programs, including Word, Excel, PowerPoint, Outlook and others. Most of the time these programs work fine, but occasionally they can misbehave. What a lot of people don’t know is that there’s a quick fix you should try before you call your computer tech for a repair. 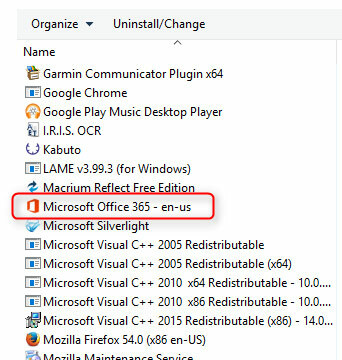 The programs in Microsoft Office are large and complex. Most people, including myself, use just a very few features out of all that are available. 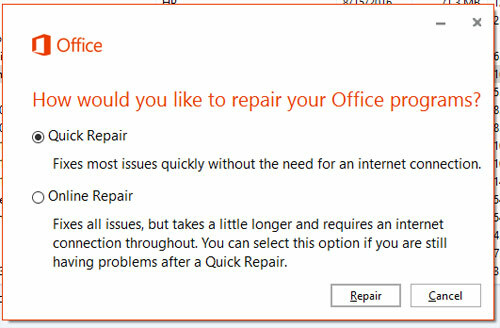 I might use MS Word to write a letter to the Safety Harbor city commission, or document a recipe, or print the customer intake sheet that I fill out when someone brings me a computer to repair. Nothing fancy. But there’s a lot going on behind the scenes with any of the Office programs – and that means there’s also a lot that can go wrong. 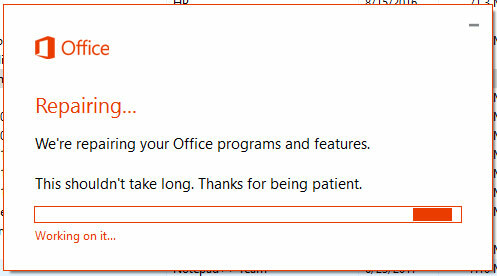 Maybe Outlook decides it won’t send a new email you just created. Or your new PowerPoint presentation won’t run when you tell it to. Or a formula isn’t working right in an Excel spreadsheet. What do you do when that happens? For a lot of people, that’s when I get a phone call. Usually I can remote in and figure out what’s going on and get it fixed. But before you spend money on a software repair, there’s something you can try on your own. It’s very simple, and in a surprising number of cases, it takes care of the problem very quickly (and no, I’m not talking about restarting the computer – although it can’t hurt to try that too). 1. Go to Control Panel, to the “Programs and Features” section. In Windows 10 you can just click Search and type “uninstall” and click on that item in the menu that comes up. 4. Now a new window opens, giving you the option for a Quick Repair or an Online Repair. 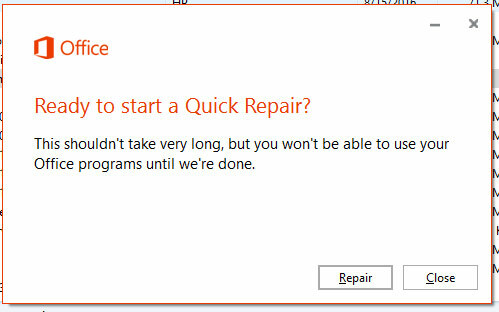 I usually try the Quick Repair first and see if it does the trick. If the problem persists, go back through this same process and choose Online Repair. Click the Repair button. 7. You’ll get a little progress window that you can watch for the brief time that it takes to run. When I ran this it took less than 30 seconds to finish. Your mileage may vary. That’s how easy this is. 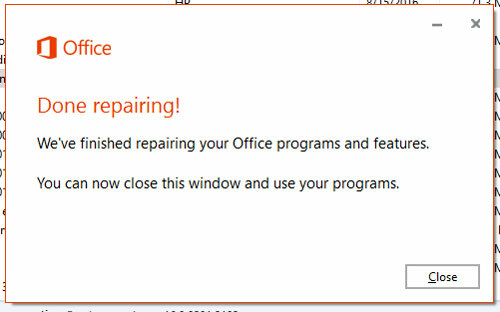 These screenshot images are from my own computer which is running Office365, but the process is very similar even for earlier versions of Office. We have alternatives to Microsoft Office. I agree MS Office is large and complex, and also agree lots can go wrong. MSOffice is also costly, running from a cheap student edition to the most expensive Professional edition. Customers can try Open Office, Apache Office, or Libre Office. All these are entirely FREE. Thanks Mike. Of the free ones, I prefer Libre Office. 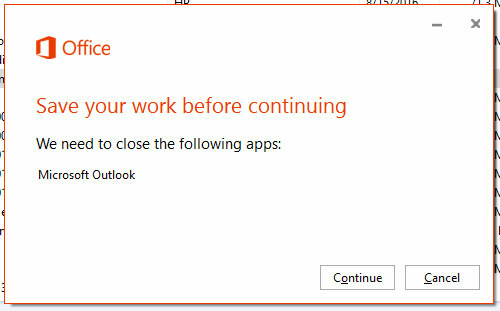 Unfortunately it does not include an email component such as Outlook.